This event recognizes individuals who have made significant and meaningful contributions to their country and community and who are nominated by their peers. 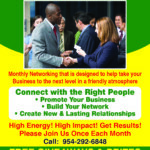 This year’s event will take the form of a Gala/Banquet with red carpet arrival. Request nomination applications. 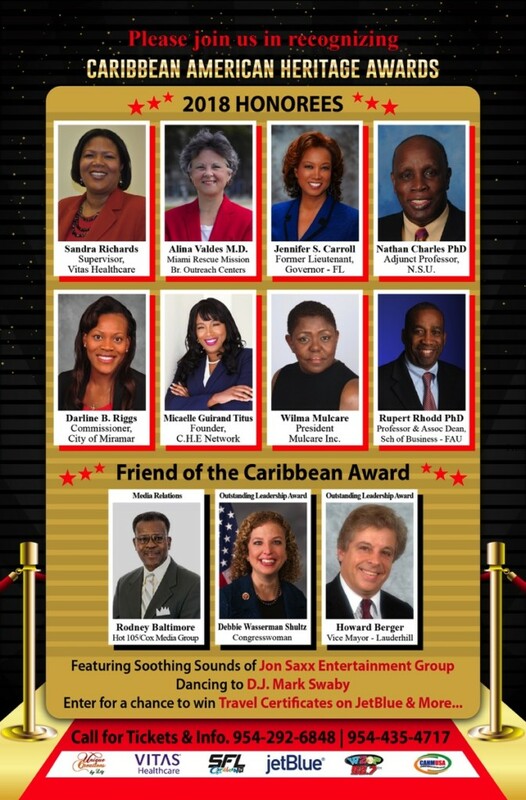 Tired of waiting on the general American public for recognition of their many decades of contributing to the wellbeing of the USA and to the American way of life and economy, the Caribbean Community is taking the initiative and honoring their own heroes and good deeds. 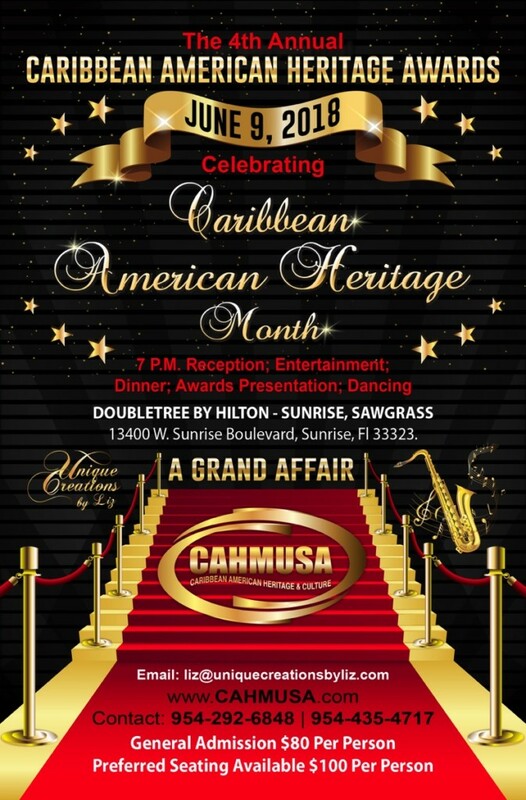 The DoubleTree by Hilton will be the venue for the 4rd annual Caribbean American Heritage Awards Banquet & Gala on June 9, 2018, which will feature Reception, Dinner, Awards Presentation, Entertainment & Dancing. The 2017 Banquet & Gala was a great event. Photos and some Videos showing how enjoyable it was, can be seen in the Gallery on this website also on Flickr and Facebook. Come out and enjoy an evening of culture and pleasure while supporting a worthy cause and honoring our Caribbean Community and Culture.